Part of the O’Connell group O’Connell Transport is one of the leading logistics and distribution companies. Located in the Port of Cork we specialise in the movement of containers to and from the Port of Cork and the Port of Dublin. The company has grown considerably in 35 years with a fleet of 24 Trucks and 144 trailers. Our fleet of dedicated vehicles are on hand 24 hrs a day with professional staff committed to customer satisfaction to ensure that your consignment meets your deadline. Operating under waste licence number WCP-CK-09-0645-01 we currently hold waste collection permits for the following counties: Cork, Waterford, Limerick, Clare, Tipperary, Kerry and Wexford. This allows us to transport waste from and to facilities in these areas. 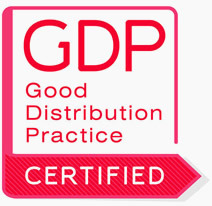 O’Connell Transport has GDP certification ensures that the highest standards used in the Medical / Pharmaceutical. O’Connell Transport also has its own in-house Dangerous Goods Safety Advisor (DGSA).